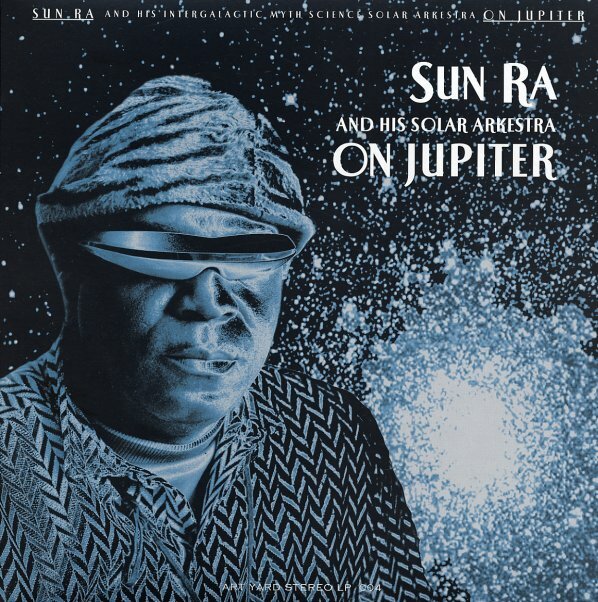 Righteous Ra from the end of the 70s – one of the most soulful albums ever by the Sun Ra Arkestra, and a lost treasure that's got some nice funky moments! The vibe here is very much in the Lanquidity/Disco 3000 mode – an extrapolation of styles best known from the Space Is The Place era, tightened up into more of a groove at some points, but also relaxed and more reflective at others. Our favorite track on the set is "UFO", a snapping bit of funk that comes as a real surprise from Sun Ra – and a tune that's got some nicely noisy guitar jamming alongside straighter electric rhythms – all topped off by vocals from the group and some really strong horn work! The tune's a great party funk number that shows the Arkestra at its most joyous – and other tracks include "On Jupiter", which has a great blend of light vocals, spacey moog, and snakey sax – plus the side-long "Seductive Fantasy", a laidback number that unfolds with a really gentle grace. © 1996-2019, Dusty Groove, Inc.